The common denominator with all top athletes, across all sports, is their ability to powerfully extend the hips. To be powerful means to apply a lot of force quickly. So whether it’s jumping off the starting line in a 2k at the Olympics tomorrow or jumping over someone to dunk a basketball, the ability to quickly and forcefully extend the hips is huge. Today’s rowing workout is a great opportunity to think about extending those hips by developing that posterior chain. 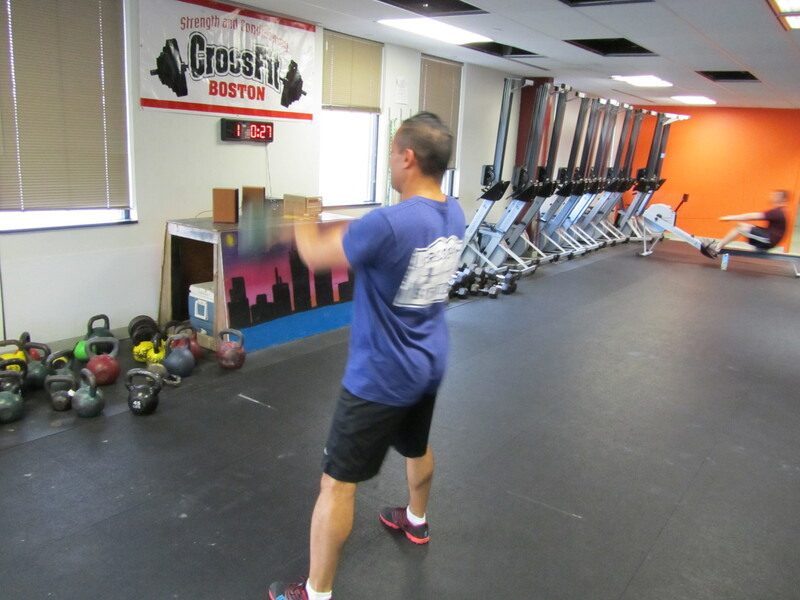 A good tool for that is the Kettle Bell Swing. Really focus on driving those heels through the ground and squeezing those glutes hard to send that weight up. Then when you hop back on the rower try to get those heels down fast and stand up off those footboards to activate your glutes and hamstrings, rather than just the quads. Keep the force on the handle horizontal and make it smooth. This entry was posted in Fitness, Rowing and tagged exercise, functional movements, healthy-living, rowing, sports, training by Renegade Rowing. Bookmark the permalink. More or less, I’m doing the same thing.